We are delighted to announce the arrival, after a difficult and lengthy birth, of Issue 2 of the Celtic retro fanzine – fresh out of the Christmas stable. The fanzine is on sale from Saturday 27th December at Celtic Park and the usual outlets. 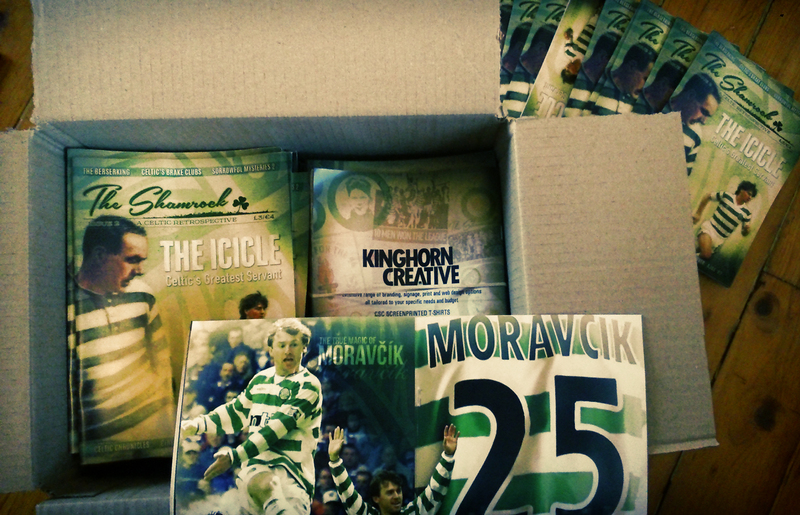 More of an annual than a regular fanzine we hope that you’ll enjoy the range of articles on topics as varied as The Madness of Sir Bob Kelly, the genius of Lubo, the rise and fall of Celtic’s pioneering brake clubs and the musical masterpiece that arose out of the ashes of one of the most remarkable games ever witnessed at Celtic Park. 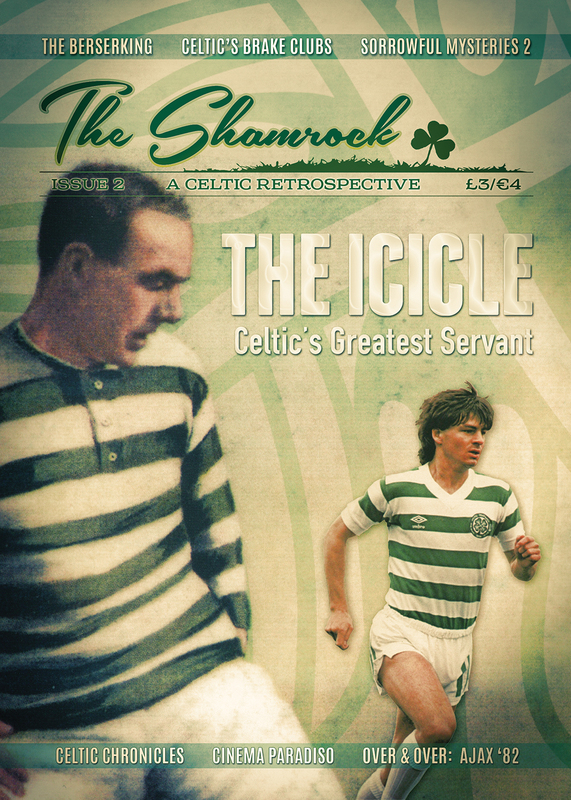 In addition to all that we have the pleasure of Frank Rafters from the Maley Bhoys blog writing about perhaps Celtic’s greatest-ever servant, the amazing Alec McNair – known to all throughout his career as ‘The Icicle’. Think Efe Ambrose . . . and then replace that thought with a top class, assured defender who didn’t set his team-mates teeth on edge when the ball was at his feet. And kept down a Celtic first-team place for two decades! Welcome aboard Frank. 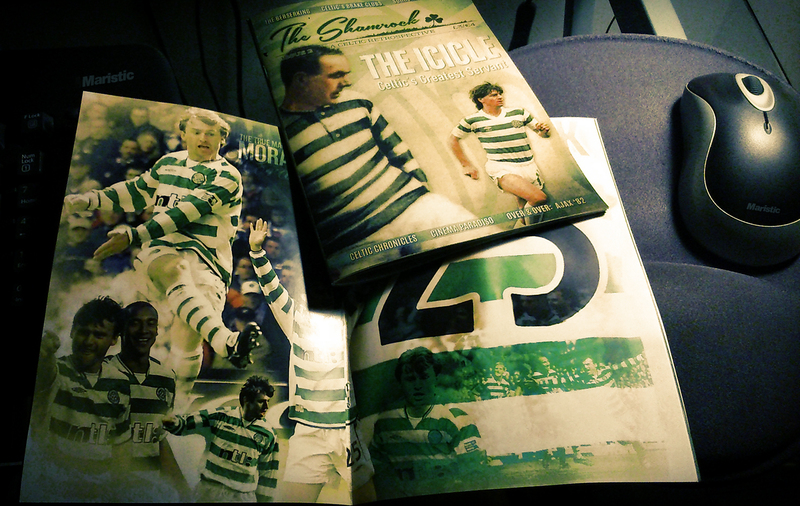 And once again we have the benefit of tremendous design work throughout from Ritchie Feenie at Kinghorn Creative (visit http://kinghorncreative.wordpress.com/ for more of Ritchie’s work) including a stunning front cover of ‘The Icicle’ himself as well as Champagne Charlie Nicholas in his Celtic pomp in honour of his stunning goal away at Ajax in 1982. Copies of issue 2 will be sent to subscribers on Monday 29th December. Thank you for your support of The Shamrock both online and in print. Previous PostThe Winter of Discount TentNext PostSevco – the gift that’s not just for Christmas!